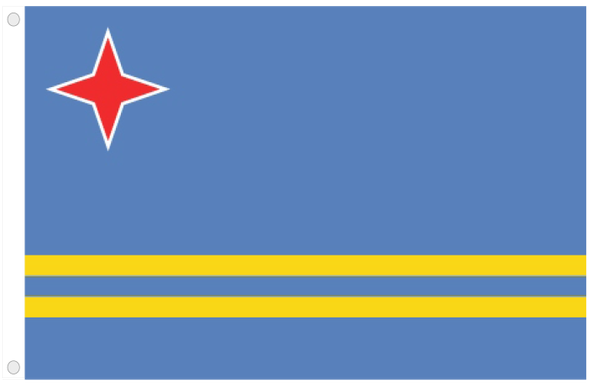 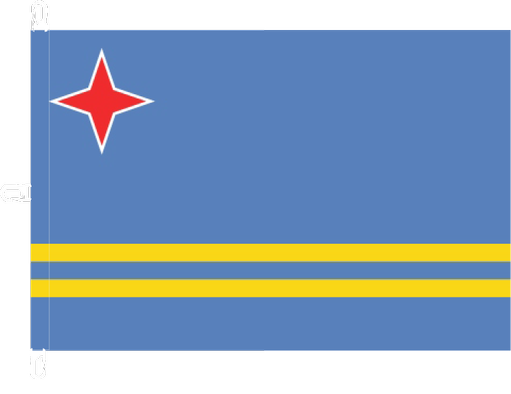 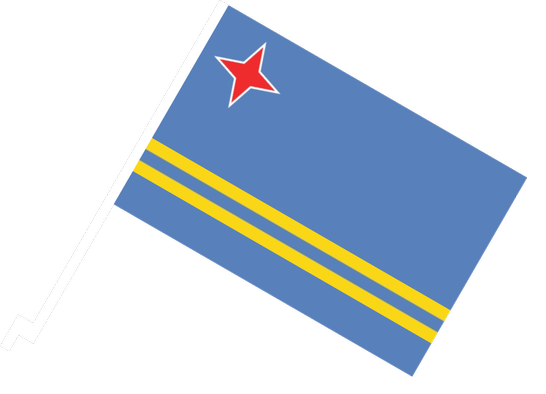 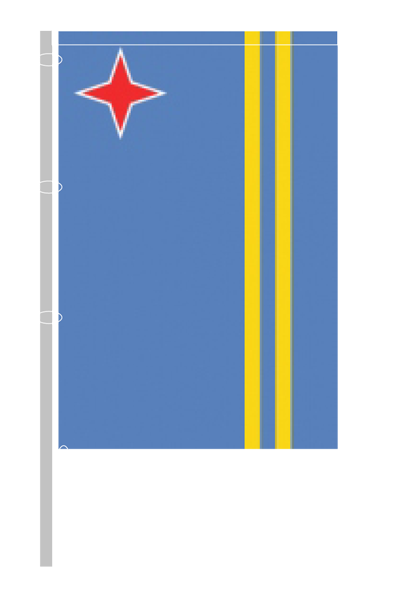 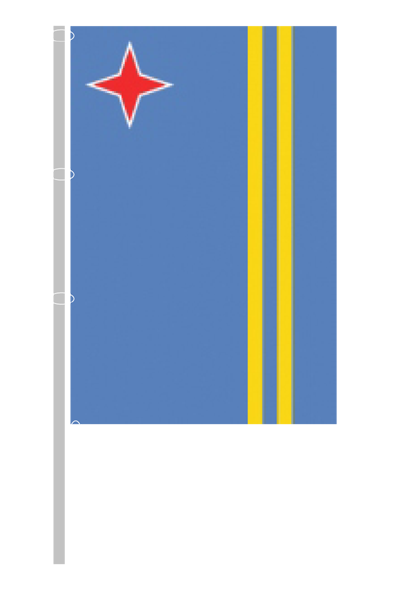 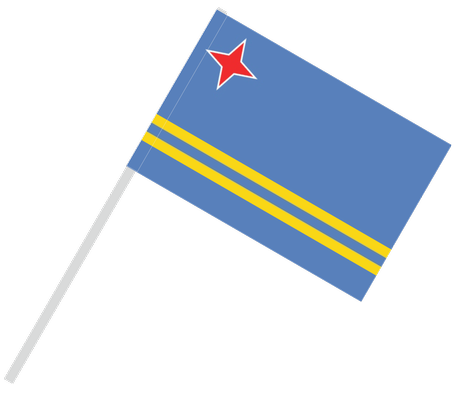 Aruba flag dates from 1976. 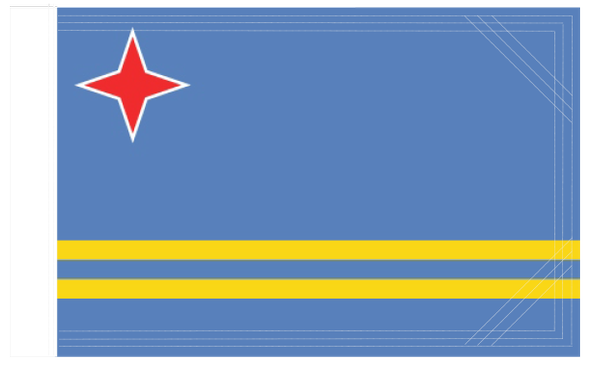 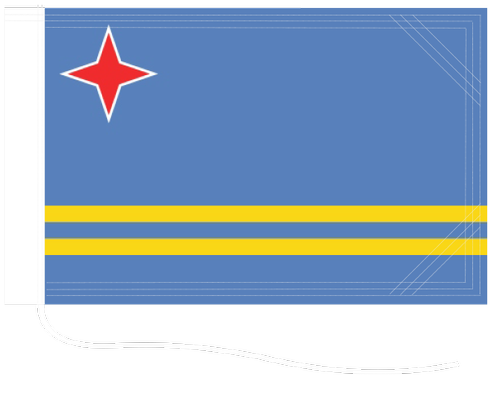 Basic blue symbolizes Caribbean waters and skies. 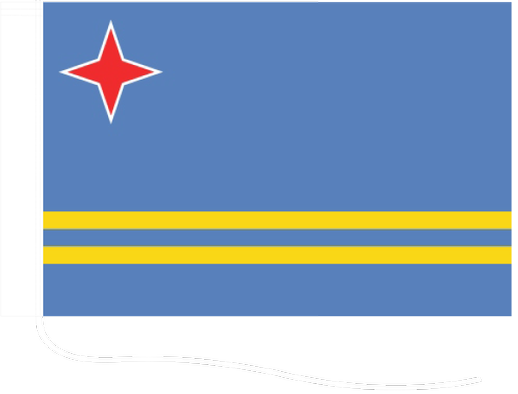 Two narrow yellow stripes represent the flow of tourists to sunny beaches and natural resources. 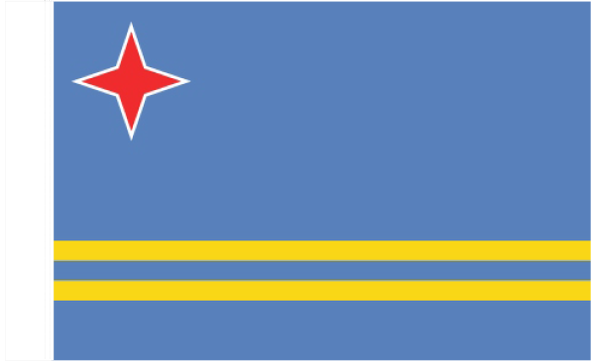 Red four-pointed star outlined in white in the upper hoist-side corner represent Aruba and its red soil and white beaches, four major languages ​​(Papiamento, Dutch, Spanish, Angličtina), four points of a compass, to indicate that its inhabitants come from all over the world.